Botulinum Toxin is a purified protein initially approved for more than 20 years to treat a variety of medical maladies, originally for the treatment of eye conditions (blepharospasm) and facial ticks. 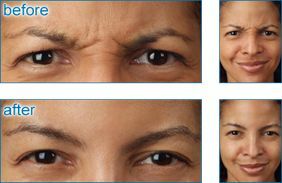 More recently it has been approved for treating wrinkles (rhytids) of the frown lines, forehead and crow’s feet. Other applications include elevation of brows, softening the lines under the eyes as well as opening the eyes, elevation of the nasal tip, and elevation of the corners of the mouth as well as softening the chin and necklines. BOTOX® has also been FDA approved for treatment of hyperhidrosis (excessive sweating), the cost of which may be covered by your insurance company. Should you need more information about Las Vegas botox and what it can do for you, please contact us.